Link building has a mixed reputation. Some people will tell you it’s still essential, while others will tell you it’s old hat and ineffective. And then you’ll hear someone ask the exact same question next year. The truth is further towards the former. Part of the reason for the negative opinion is the fact that Google cracked down so hard on low-quality links, which in the past was a relatively straightforward way to abuse the system and achieve impressive results. Black-hat techniques such as buying and selling links, low-quality link directories, site-wide links, spammy anchor links and link-building bots all combined to give link building a bad name. 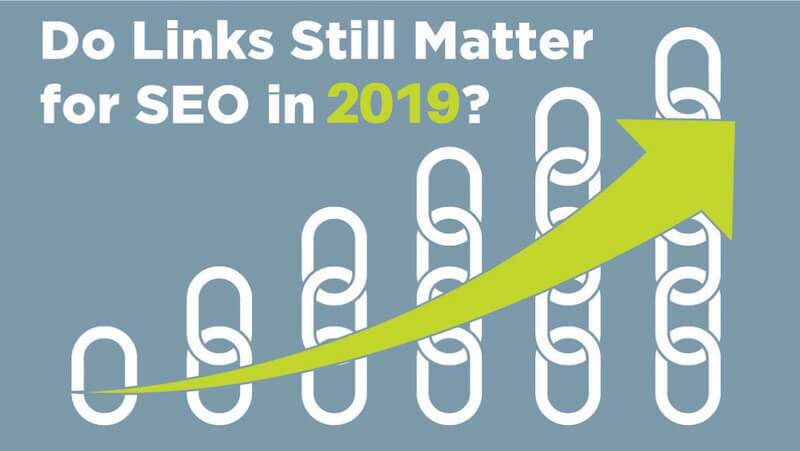 But in 2016, Andrey Lipattsev, a search quality senior strategist at Google, confirmed that links are among the top three ranking factors – and it’s still true today. Here we’ll look at why they’re still important in 2019 and some techniques to build the best ones. The reason quality links are an important ranking factor is logical. They signal to users and web crawlers that yours is a site worth visiting and demonstrate that the webmaster believes you know what you’re talking about. If they believe it, and they’re an authority, Google believes it, too. The rise of content marketing as a discipline isn’t in spite of link building, it’s because of it. But instead of it being as simple as buying a link you now need to create something people actually want to share. By creating quality content that people find interesting and valuable you will naturally receive links. It could be something that helps people do their jobs better, interesting facts and figures, engaging infographics or an in-depth white paper. Whatever the medium, people value great content and will reward you with links. In addition to building links content marketing converts up to 6x higher than other forms of marketing, so you should be rewarded with business, too. Build it and they will come? While it’s true to a certain extent with good content, a little elbow grease doesn’t go amiss. There is a plethora of content online, so giving yours a boost to get noticed goes a long way. A robust outreach strategy can help you reach the influencers with an audience most relevant to yours, and by engaging with them you can ensure your content is seen by the people that matter. A good link-building agency can also help you create content that will most likely capture their attention. You should also consider putting a bit of money behind it with paid social ads aimed at your target demographic. While the monstrous spammy link directories of old won’t help you any more, ones that are actually of value to users will. Profiles on sites like Yelp, Yellow Pages, Thomson Local and more all demonstrate to Google that you are who you say who are, as well as giving potential customers another avenue to find you through. Given the sheer size of some of these sites, it isn’t a given that Google will scrape every new listing. Making a list on your site of where customers can find you online, linking to these local profiles, can also point them out to Google to ensure they’re indexed. A straightforward link-building strategy to try (if you haven’t done it recently) is to have a look for what’s out there already. Do a search for your brand to look for any mentions in existing articles and site content that don’t already link to you. Simply getting in touch and asking for them to add a link to the existing copy is a no-brainer. Also, do a site audit for any links to your site that are returning 404 errors because the page is broken or no longer exists. Setting up 301 redirects to a different but relevant live page of your site will ensure you still receive the valuable link equity, as well as helping out the users who click on it. The great thing about these two techniques is they’re taking advantage of naturally occurring links, so there should be no question of quality. While link-building techniques may have changed a lot over the past 10 years, the importance of links to good SEO results has not. The advice now really is quality over quantity. Google’s technology has become so much better at rooting out black-hat techniques that there’s no longer a quick fix to get you to the top. Creating quality content really is the strategy that works, both with Google crawler bots and with real customers. What are you waiting for?